Top earner per square foot! Vtail’s patented lowest cost model. The Lumini Peace Frog was designed with an efficient use of space in mind. While utilizing approximately only 1 sq ft foot the Lumini Peace Frog can prove to be the most profitable single square foot in your location(s). With an intuitive prize deliver system, Vtail’s “WINNER EVERY TIME” technology, PREMIUM PRIZES and compact footprint make it one of our top volume pieces. The Lumini Peace Frog can be worked into even the smallest under utilized piece of real estate. 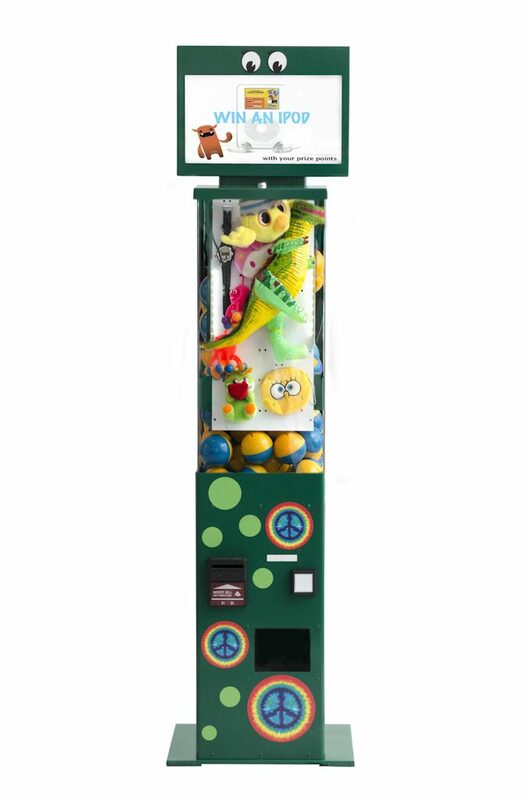 The Lumini Peace Frog’s sleek footprint, HD video monitor, and Vtail’s proprietary electronic displays all draw customer attention and strong sales. The Lumini Peace Frog is great as a standalone piece or, depending on location, often are bought in pairs with a Web Glow Machine as multiple units compliment each other very well in turn driving additional sales and revenue. 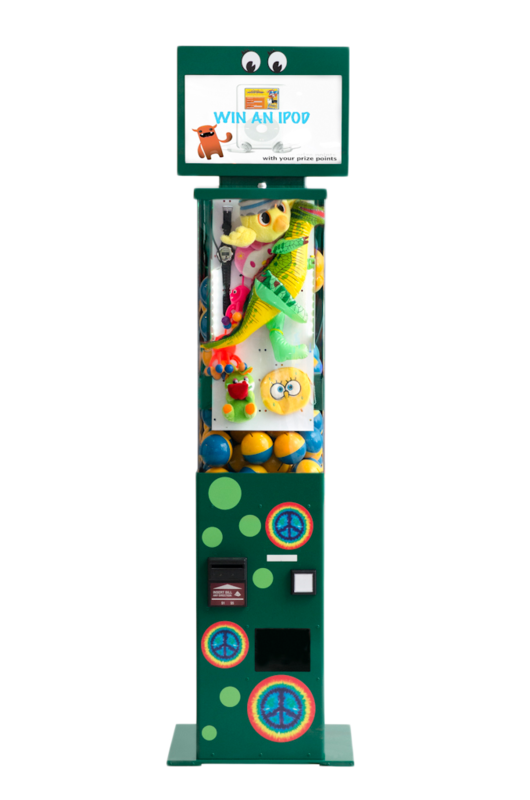 This machine has gotten some nicknames as the “party favor machine” by customers and moms alike. If you have a location that caters to kids birthday parties mom’s can find refuge in a busy life if they forgot to bring party favors. We’ve had testimony from locations of mom’s pumping in $30 to purchase party favors for their child’s party. Top earner per square foot.